A spill-proof straw cup for your little one! 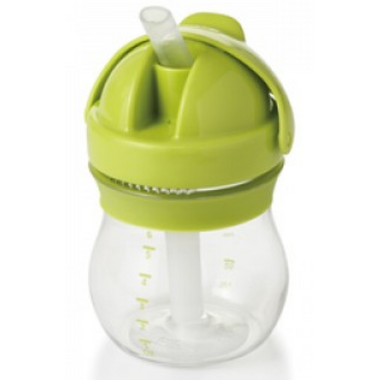 The Straw Cup’s almond-shaped, spill-proof straw conforms to tot’s mouth and minimizes mess, easing the transition from bottle, breast feeding, or sippy cup. The straw valve opens as soon as tot’s lips touch spout for easy drinking, and the hinged cap closes to create a leakproof seal.